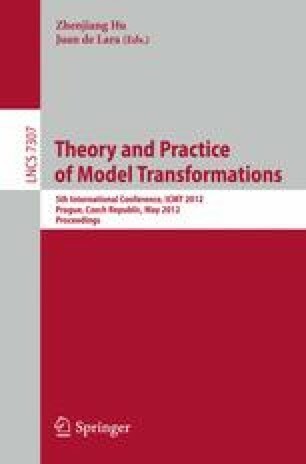 Model-to-model transformations are often employed to establish translational semantics of Domain-Specific Languages (DSLs) by mapping high-level models into more concrete ones. Such semantics are also executable when there exists a target platform able to execute the target models. Conceiving a transformation that targets a low-level language still remains arduous due to the large semantic gap between the DSL and the corresponding target language. In this respect, depending on the domain of the DSL, this task can be made easier by reusing an existing platform and bytecode language for that domain, as for instance the EMF Transformation Virtual Machine (EMFTVM) for the domain of model transformation. This paper defines executable semantics for EMFMigrate, a model transformation language specifically designed for managing the coupled evolution in model-driven development. To this end, the approach considers EMFTVM as the runtime engine targeted by the proposed semantic mappings.